Prodrive has launched a range of parts for the Aston Martin V8 Vantage, which improves the car?s performance and enhances its driving dynamics. The range includes: a performance pack for the engine; new driver-adjustable suspension; unique forged wheels; and a discreet aero package. Prodrive has tuned the 4.3 litre V8 engine to raise peak power from 283 kW (380 bhp) to 317 kW (425 bhp), as well as increasing peak torque from 410 Nm (302 lbft) to 440 Nm (325 lbft). This reduces the car’s 0-100 km/h time from 5.0 secs to 4.7 secs (est) and increases the top speed by 13 km/h to 293 km/h (est). A new throttle map, combined with the increase in torque, also make the engine more responsive throughout the rev range. 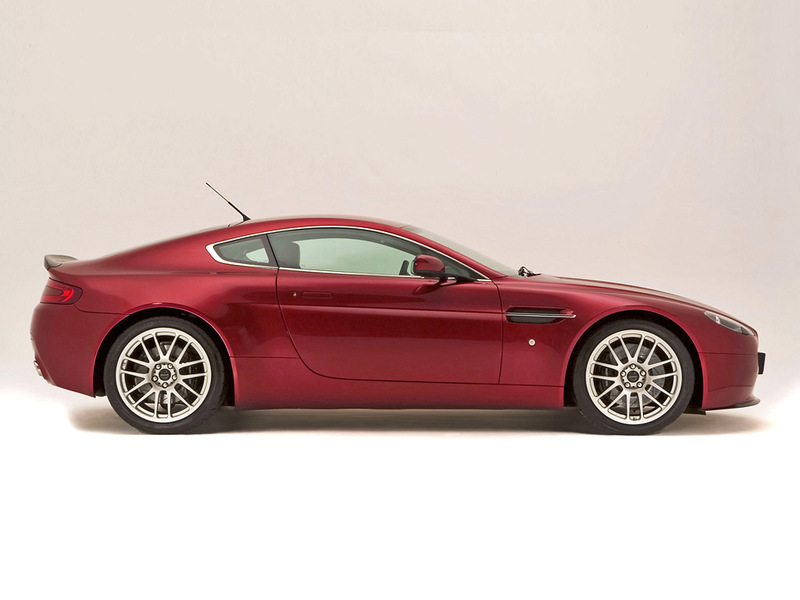 The engine performance pack has a modified exhaust system with a low back pressure sports catalyst and a driver-controlled switch to manually override the V8 Vantage’s exhaust valve. This gives the option of a quiet mode, where the valve is permanently closed; auto, where the valve operates as it does on the standard car; and sport mode, where the valve is permanently open (where conditions allow). The V8 Vantage’s aerodynamics have been analysed in the windtunnel to develop an aero package to reduce high speed lift. The result is discreet Prodrive designed and manufactured carbon composite front lip and trunk spoilers, which are in keeping with the Vantage’s classic styling. Together, these reduce lift by 45 per cent, improving both high speed stability and grip. Prodrive runs the Aston Martin Racing team in partnership with Aston Martin. It has used its experience of designing and developing DB9 and V8 Vantage-based race and rally cars to help create this range of performance enhancements for the road car. It has also carried through the unique design of the wheels used on the Aston Martin DBR9 GT1 racing car to special 14 spoke 19” forged wheels made by Prodrive Japan for the V8 Vantage. These come complete with Pirelli P-Zero tyres, which have been selected to match the new suspension and optimise the ride and handling.